Within the past several years a lot folks have decided they want to start growing their own food in urban areas. This is a wonderful resurgence, for both the personal and the planetary. And guess what? 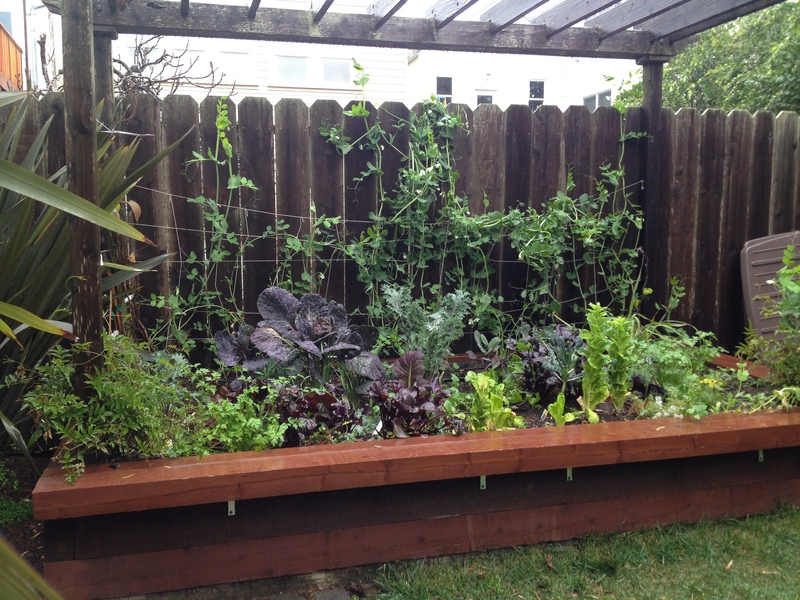 Vegetables can thrive even in San Francisco’s odd little spots, and even in a mild, often foggy climate. 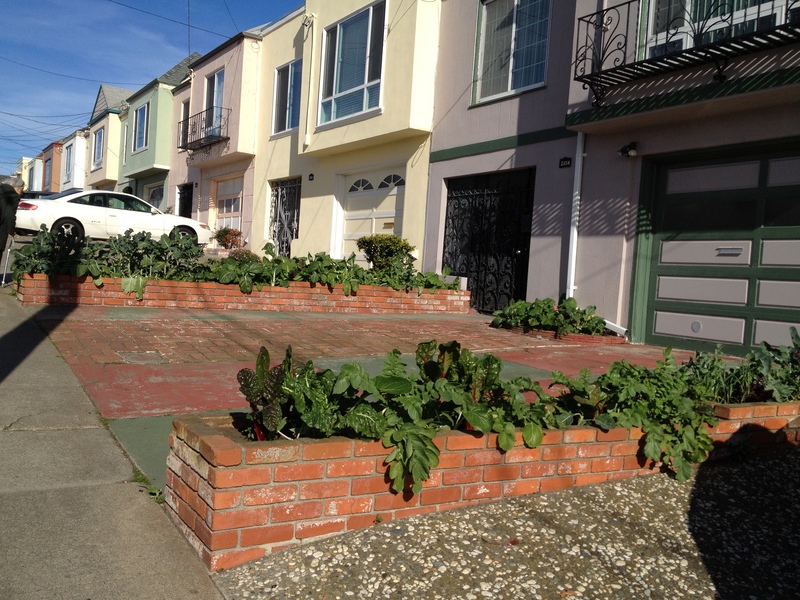 This brick planter is along a driveway in the notoriously chilly Outer Sunset. 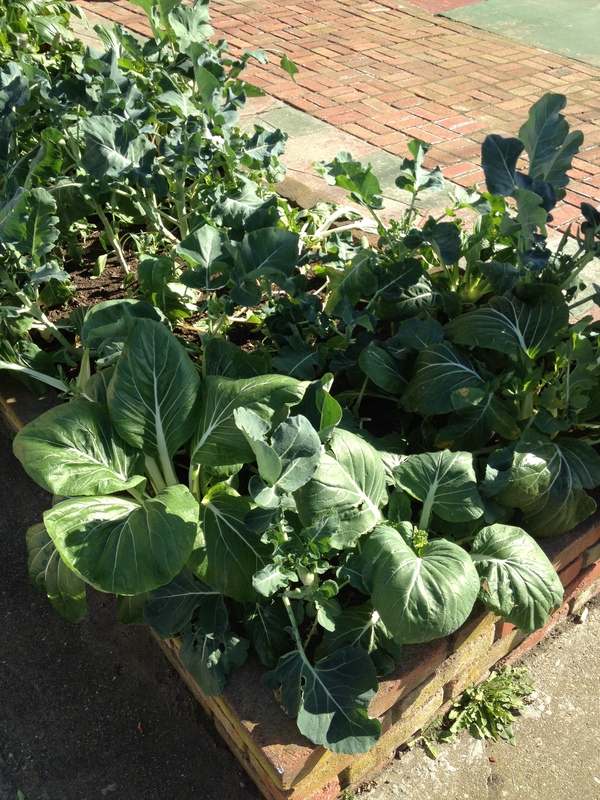 It’s packed with kale, chard, collards, bok choy, arugula, favas, turnips, leeks – an amazing variety for a tiny space. In a backyard in Noe Valley, this was built last summer by Small Spot Gardens, sited under an old pergola that was too small to be really be used as a sitting area. The perfect place, though, for a raised veggie bed. During winter, kale, chard, and salad greens flourish – the quintessential leafy greens for optimal health, year-round harvesting, and good growing in less-than-sunny conditions. 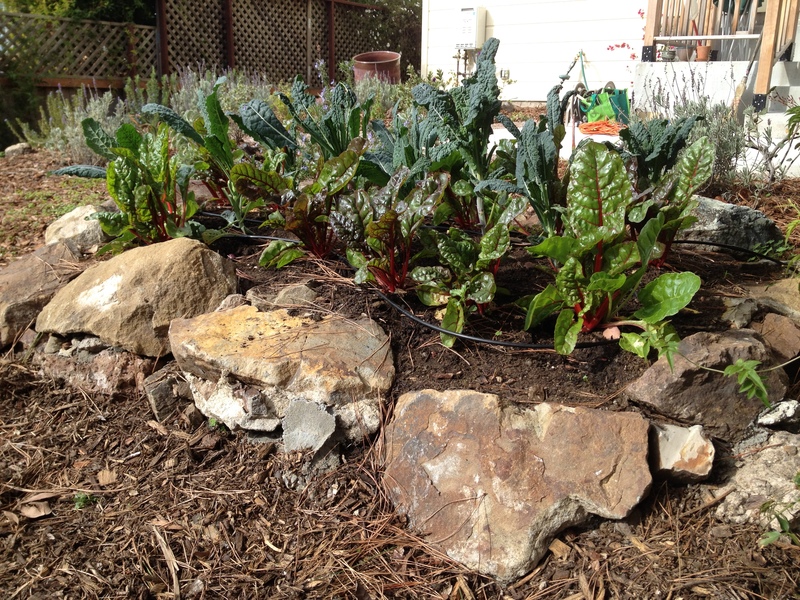 At another Small Spot client’s yard, this veggie plot was made using stone rescued from a neighbor’s debris pile. 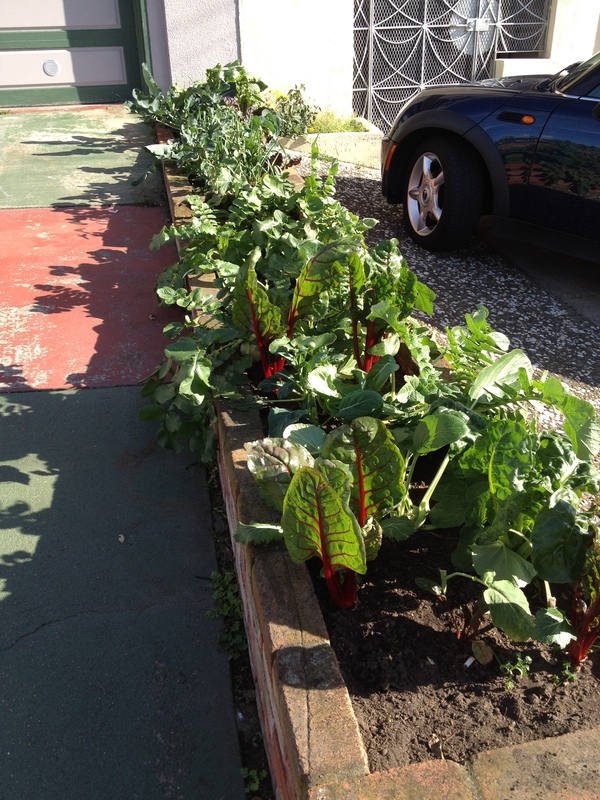 All living proof that it doesn’t take much to make a happy habitat for some kale and chard.